Prof. Azyumardi Azra is an outstanding historian, a progressive educator and an Islamic intellectual who advocates a moderate interpretation of Islam. He has rendered great service to form a multi-cultural and harmonious civilian society in Indonesia, and his practical activities, originating from his profound understanding of Islamic culture, have contributed greatly to cross-cultural understanding in international society. Prof. Azyumardi Azra is an outstanding historian, a progressive educator and an Islamic intellectual who has earned high esteem for his advocacy of a centrist, moderate understanding of Islam. He has rendered great service to the development of Islamic studies in Indonesia and to the formation of a harmonious society. His intellectual and practical activities have contributed greatly to cross-cultural understanding in international society. Prof. Azra was born in a suburb of Padang in western Sumatra in 1955. He studied at Colombia University, U.S.A., and received an MA in Middle Eastern Studies, and a Ph.D. in history. He conducted prosopographical research to reveal networks (masters and disciples or intellectual lineages) of Ulama (Islamic scholars) between the Middle East and Malay/Indonesian world in the 17th and 18th centuries, based on contemporary documentations and data in Arabic. 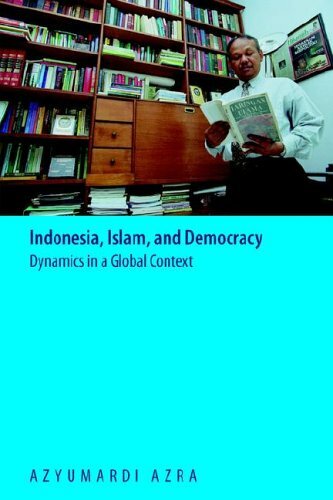 The result was “The Origins of Islamic Reformism in Southeast Asia” (2004). In this book, he revealed that Islamic Reformism and neo-Sufism, which flourished from the 19th century, had in fact, originally begun much earlier, and produced evidence to demonstrate that they had been formed through communication and interaction between the two regions. 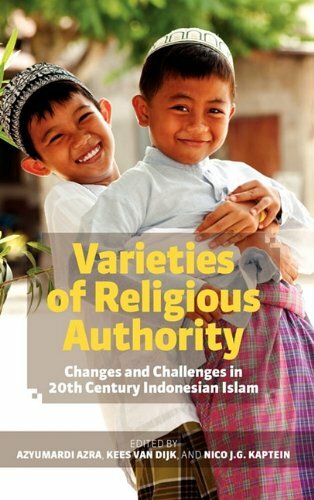 The publication has enhanced studies of modern Islamic thought and comparative studies of ideological propagation, revealed the long history of East-West cultural exchanges and opened up new research fields. Besides this book, he is the sole author of more than 10 books, and co-author and editor of a great many more books and academic papers. Prof. Azra became Rector of Syarif Hidayatullah State Institute for Islamic Studies, Jakarta, in 1998, and conducted drastic institutional reform in order to modernize Islamic education. He was instrumental in adding five new faculties and graduate schools (Psychology, Economics/Business, Science/Engineering, Medicine/Health and Sociology/Politics), and in promoting the Institute to university status, as Syarif Hidayatullah State Islamic University, Jakarta, serving as its first Rector (2002-2006). He chaired the International Association of Historians of Asia from 2010 to 2012, and also played various important roles in international academic and research institutions. Prof. Azra has expressed his centrist and moderate position, based on his profound understanding of Islamic teachings, through newspapers, journals, TV and other media channels. Through these he has consistently advocated the five founding principles of Indonesia (Pancasila) and cultural pluralism, and promoted dialogue between different religions. His contribution to the development of social harmony has been immense. He was an important member of the Indonesian National Research Council and also the Indonesian Academy of Sciences, and in 2005, was awarded one of the highest honours of Indonesia, the Bintang Mahaputera Utama. For his strong initiative in promoting international academic exchange and cross-cultural and cross-religious dialogue, and his outstanding contribution to mutual understanding between the Islamic world and the non-Islamic world, Prof. Azyumardi Azra truly deserves the Academic Prize of the Fukuoka Prize.